Free Shipping Included! 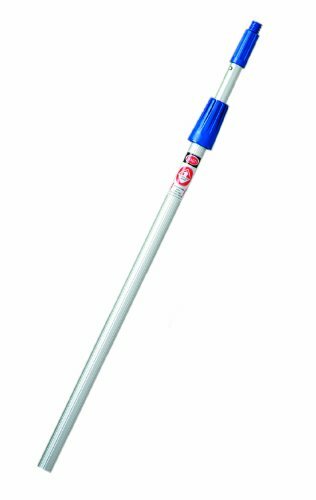 Save 1% on the Continental 2550-08, Aluminum 2 Sections Telescopic Pole with Threaded/Tapered End Cone, 4'-8' Reach (Case of 3) by Continental Commercial at Blog Free Here. MPN: 2550-08. Hurry! Limited time offer. Offer valid only while supplies last. Aluminum telescopic poles in 2 pieces are used for high reach and angled windows. Reduces the need for scaffolds or ladders, increasing efficiency. Aluminum telescopic poles in 2 pieces are used for high reach and angled windows. Reduces the need for scaffolds or ladders, increasing efficiency. Simply twist to extend or retract. Made of aluminum. 4 to 8 feet reach. If you have any questions about this product by Continental Commercial, contact us by completing and submitting the form below. If you are looking for a specif part number, please include it with your message.